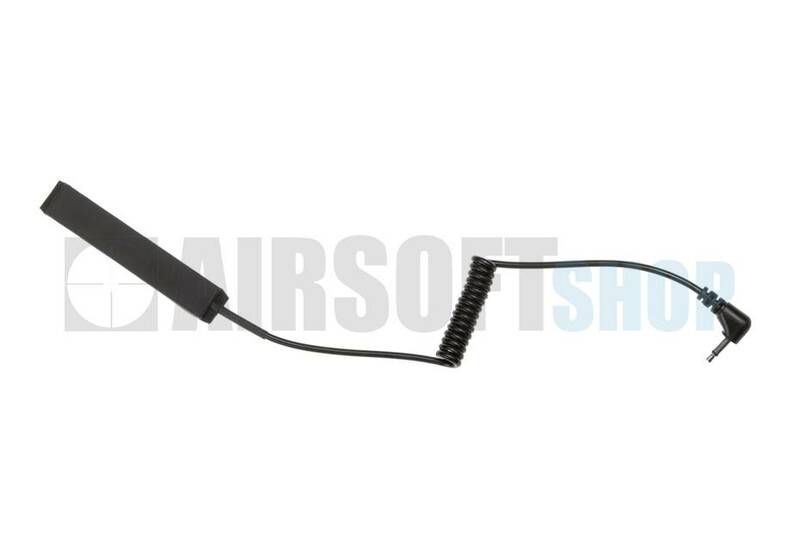 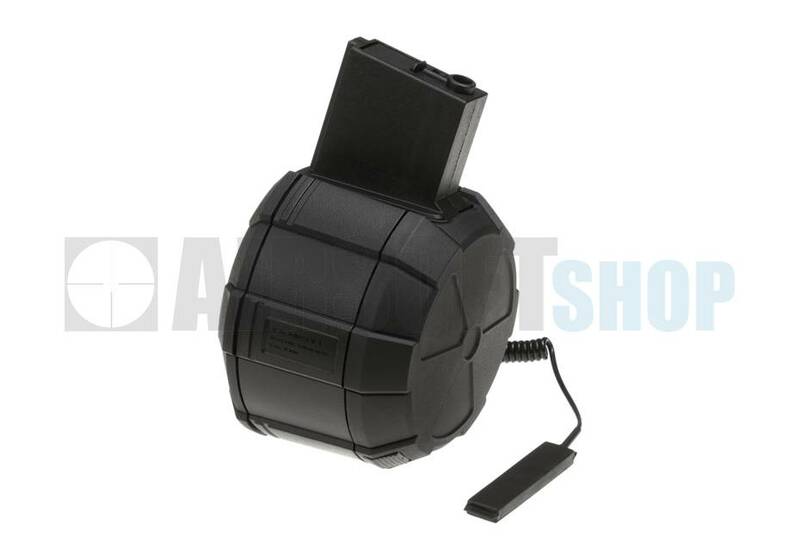 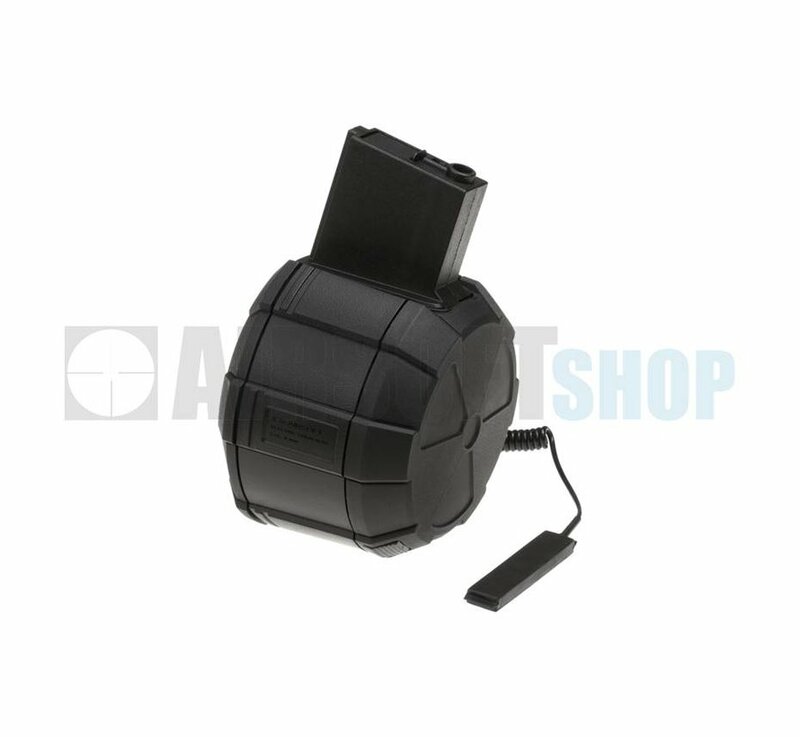 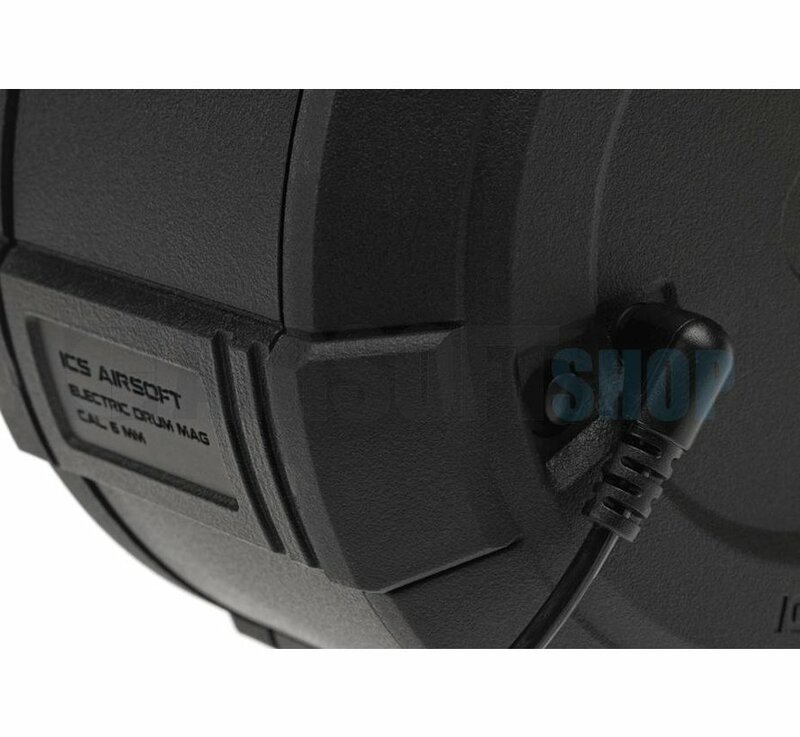 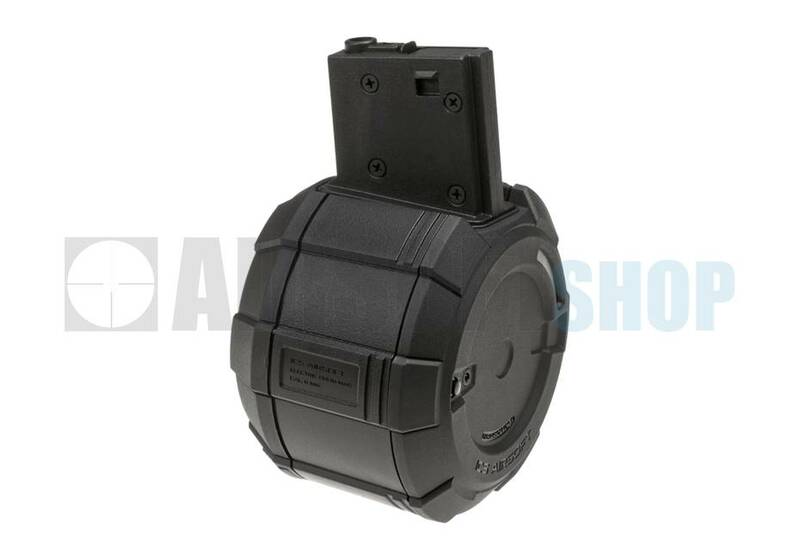 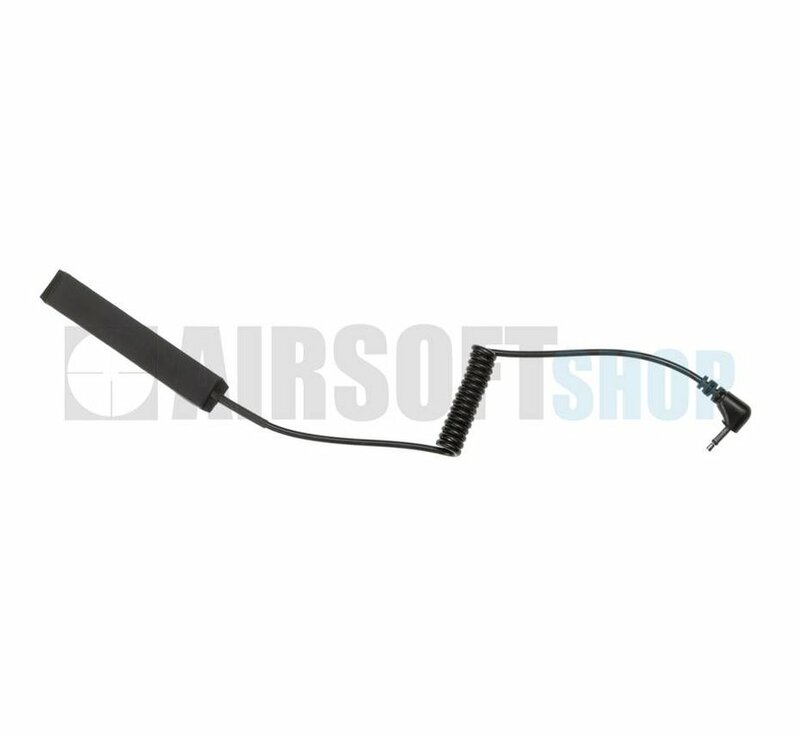 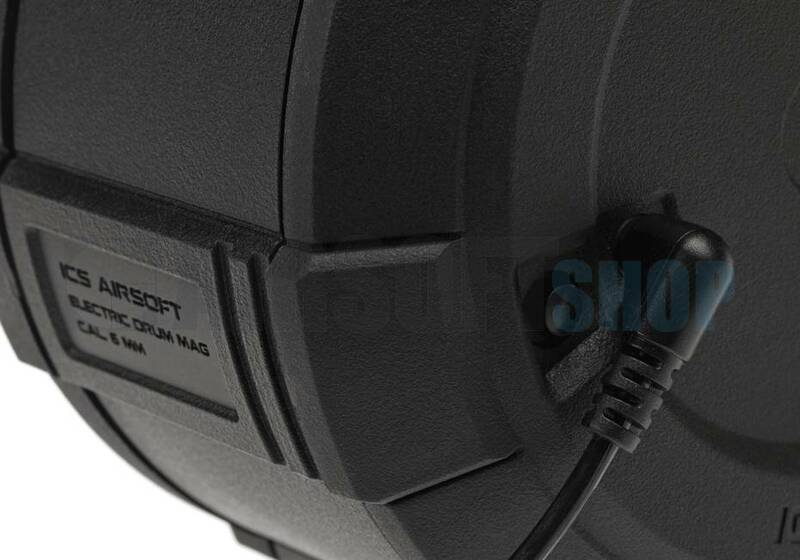 ICS Drum Magazine M4 1800rds (Black). 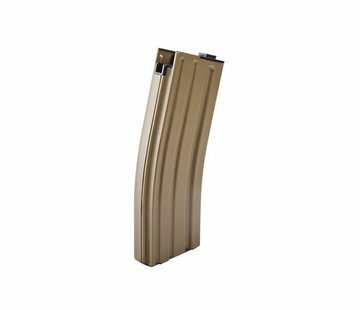 Need a bigger magazine for your gun? 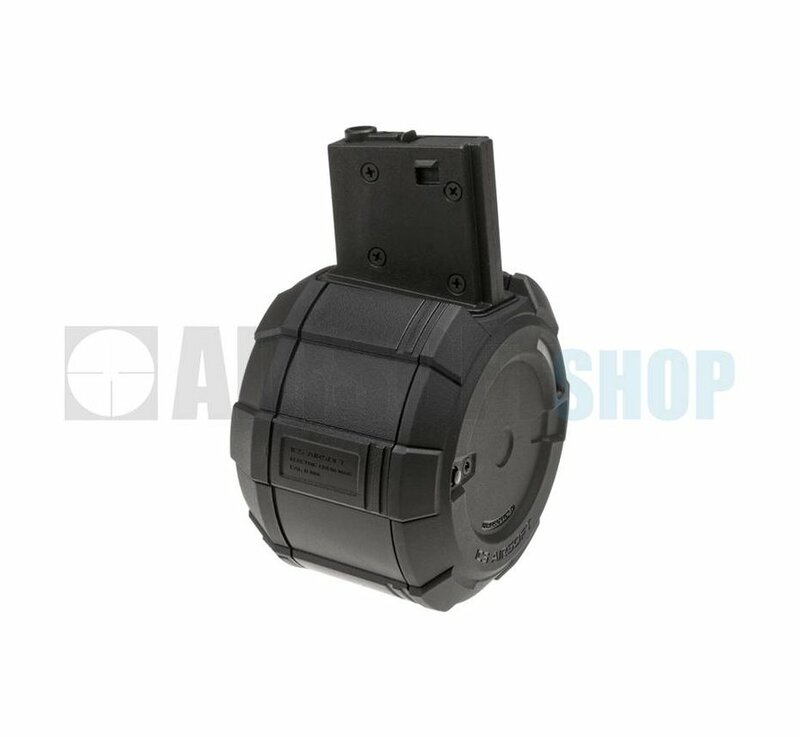 Sick of reloading?Look no further as ICS have released the 1800rds Drum Magazine for M4 AEG Series.This will give you the support fire you need to cover your team mates. 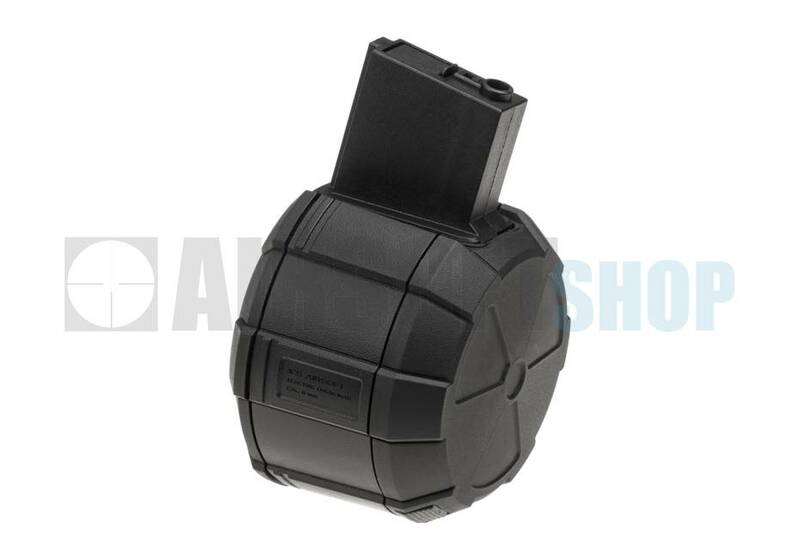 Indicator lijnen om aan te geven hoeveel bb's je nog over hebt!